This song is an utter mystery. 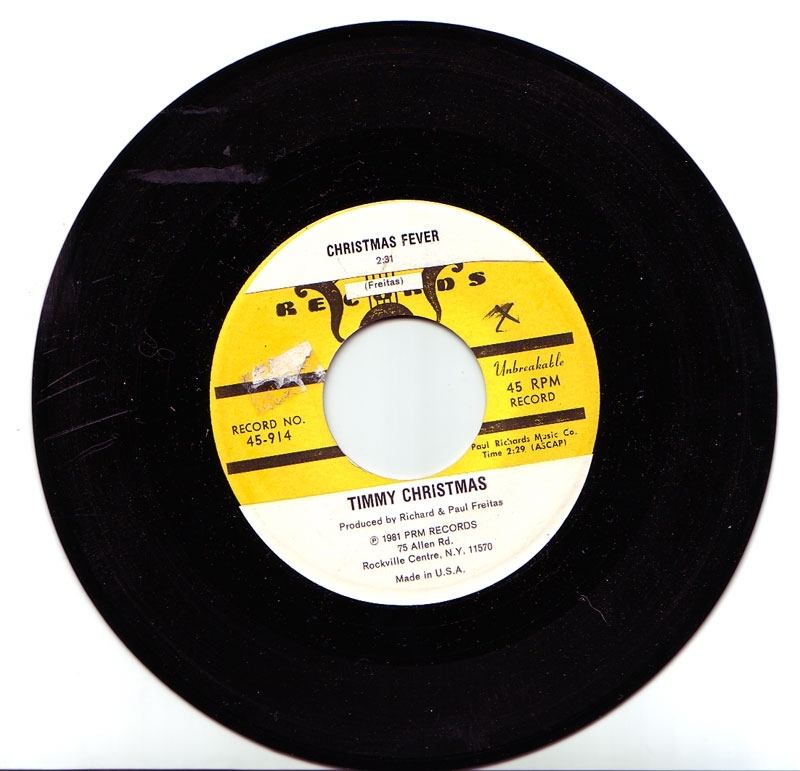 There are white stickers affixed on top of the original label of the 45 that claim it is the product of PRM Records in Rockville Centre, NY - the date given is 1981. The recording sounds 1950s, however. The song seems to be written and produced by Richard and Paul Freitas. There is also a phone number hand-written on the original label. Who knows? Catchy Christmas song, though! I found Richard Freitas, not surprisingly at Richardfreitas.com, and asked him about the song. He replied! Wow, a blast from the past! doll and the artist name was changed to Timmy Christmas. TV, commercials, films and videos. Mystery Solved! 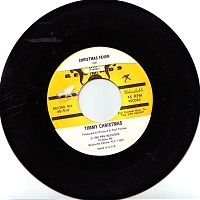 It's going on my Christmas collection this year with the right name, not "Timmy Christmas." And whoever wrote that entry is right: it sounded 1950s cause it is! Have you tried calling the phone number? I've never heard of a record label putting a phone number on their label.